Wild Pantry is a small, family owned and operated business that offers a healthy alternative to processed foods laden with chemicals and additives. Our products are found in the forests and fields, given to us by Mother Nature. We would love to hear from you. Suggestions are welcome. If you would like to consult with us on an upcoming event where you need wild foods, please email us at your convenience. Most of our products (Fresh) are seasonal. 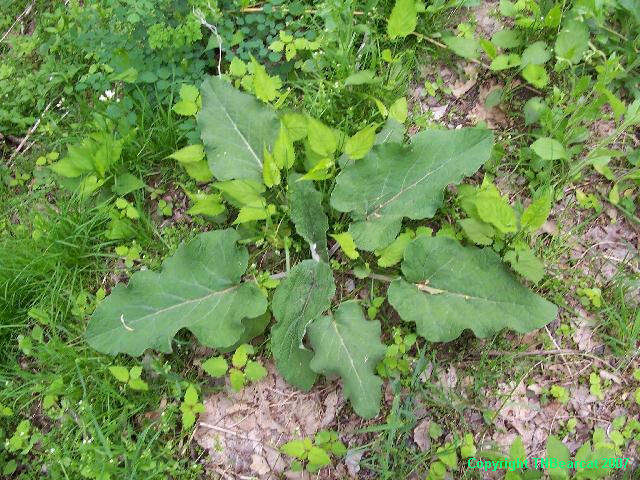 Spring and summer do offer more choices, but fall and winter has wild edibles as well. We are also available to advise you for your edible landscaping needs. We can either advise you on the telephone or come out to your property, access your needs, and give you our recommendations. We can advise, complete, and design your edible landscape for you or assist you. Whether you want a totally wild edible landscape or a domestic edible plant landscape, we can assist you. Telephone consultations are $25.00/half hour, minimum 1/2 hour consultation fee. Email us for quote on our other services. Nature excursions for field identification is offered for anyone wishing to learn more about the wild edible, medicinal, useful and poisonous plants of Western North Carolina (Cherokee County), and/or East Tennessee (Monroe & Polk County). We do not offer classes in Georgia any longer, sorry. Scout and student groups are welcome. There is a charge for this class/excursion. Email us for information on dates available and cost of class. Hiking in mountainous to hilly terrain may be required for field identification in North Carolina and Tennessee. Good hiking boots, bug spray, canteen of water, food, and/or your medicines you may need should be carried. Children get hot and thirsty very easily and anyone can become overheated in hot weather. Remember there are no bathroom facilities available on field trips so you might want to bring whatever you need to "find a bush" in the woods. We do have numerous rests during the heat of the day. Also, bring your camera, collection baggies, and a note pad and pencil are recommended. Specific plant identification can include wild American ginseng, blue and black cohosh, burdock, lady's slipper, mullein, plaintain, yellowroot, wild indigo, mint, jack-in-the-pulpit, Solomon's Seal, false Solomon's Seal, spikenard, sheep sorrel, cleavers, kudzu, Queen-of-the-meadow (Joe Pye Weed), ironweed, wild wintergreen, witch hazel, wild ginger, wild yam, etc. If you have a particular plant you would like to identify we can certainly try to incorporate that into the day's excursions. Wild mushroom identification can be incorporated during certain seasons. Mushroom identification can included morels, chanterelles, lion's mane, puffballs, black trumpets, and indigo milk mushrooms. This excursion is only available from April 1 through September 30 in North Carolina and Tennessee. Excursions are $100.00/day/adult for one day excursion. If you want a two day or three day excursion, the rate would be $65.00/day/adult. Group rates can be arranged. A group would be three or more people. Family rates available for families. Children must be accompanied by an adult. No exceptions. A signed liability waiver is required from all participants.